I was so surprised when those huge flowers appeared on it, standing out like pollen beacons in the sky! 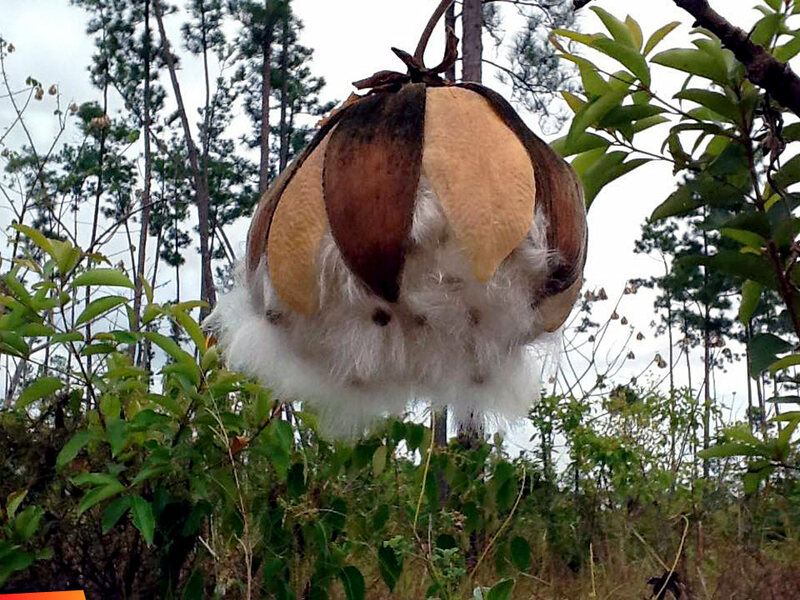 It is called Wild Cotton or Savannah Cotton (Cochlospermum vitifolium or a closely related species of Cocholospermum.) 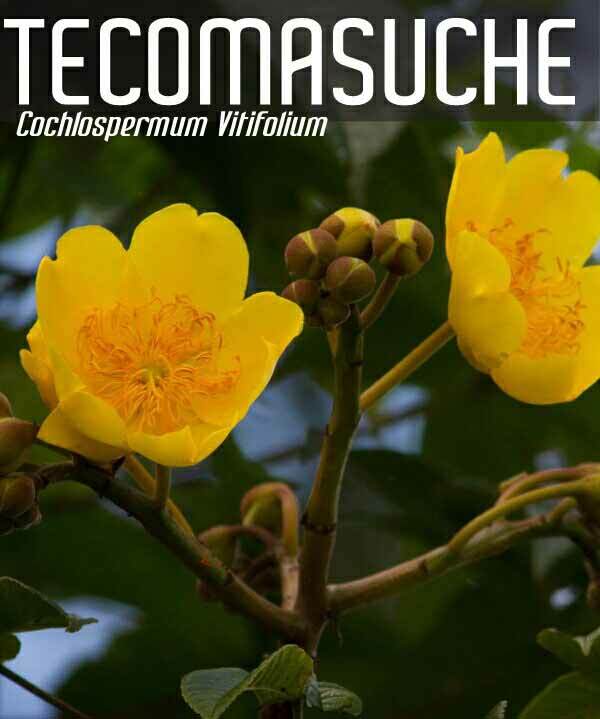 - not to be confused with the Cotton Tree (Ceiba petandra) - which is a huge tree in comparison to the Wild Cotton, which is a small and fairly short lived tree. In my area also referred to as Buttercup Tree or "Pineridge Cotton Tree." Flowers from Jan to March in Belize District. 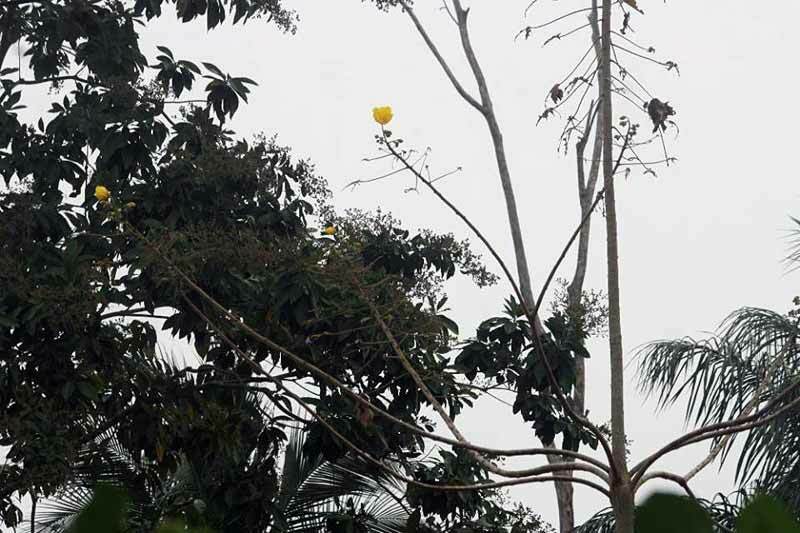 The tree will loose its leaves when it start to bloom. Common tactic for many plant - making certain that the bloom can be seen by pollinators from far away.